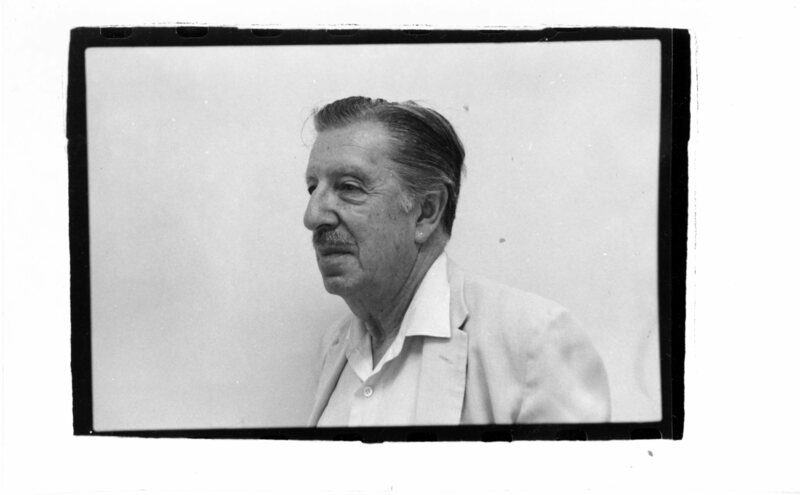 Theodore R. Bowie, an art historian known for his work in what was at the time an underrepresented field – the history of Asian art- wore many hats during his time at Indiana University. A newly acquired and now-processed collection of Bowie’s papers containing a large number of photographs, letters, lecture notes, publications, and preparatory documents for perhaps the largest undertaking of his career, i.e. 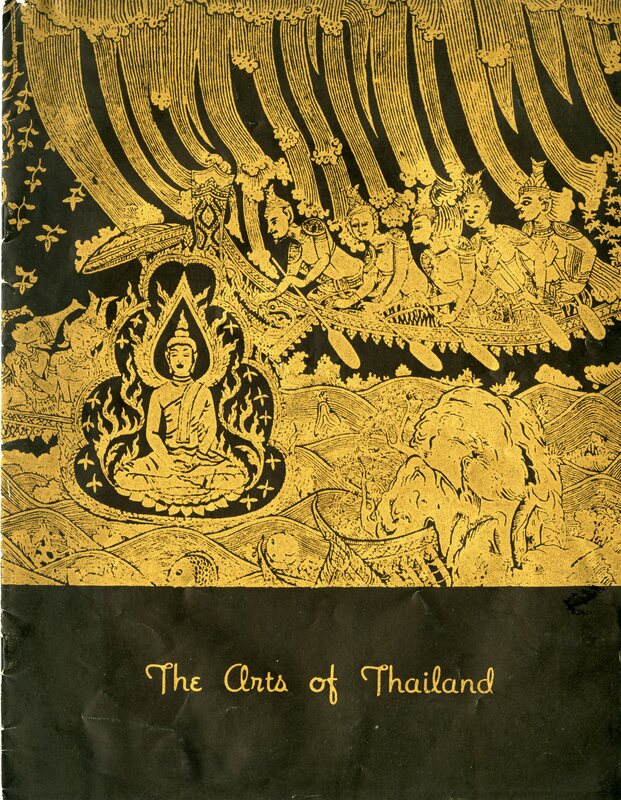 a 1960 exhibition named “The Arts of Thailand,” has allowed me a peek into the life of this prolific academic. Partially complete drafts of his memoir paint an inspiring picture of the man whose unflinching eagerness for professional involvement, passion for learning and travel, and unwavering confidence managed to bring the art of Thailand to the United States for the first time in history. Originally educated and trained in the study of French literature, Bowie first displayed the nimbleness with which he moved through his career, throughout a multitude of academic positions and areas of expertise, when he moved into the discipline of art history. Bowie joined the Art Department as an associate professor at Indiana University in 1950. His relative lack of background in the field made him an uncertain candidate for tenure. Noticing his supervisor’s hesitancy in granting tenure, Bowie suggested his own installation as a librarian and guardian of the department’s new Fine Arts Library, a position which provided the ambitious and optimistic professor the opportunity to become involved in curating. After mounting five shows dealing with the arts of Japan and China, in 1955 Bowie was approached by Henry Radford Hope on behalf of then-president Herman B Wells asking for a show demonstrating the art of Thailand. This request for a Thai art show came at a time when IU was one of multiple state schools participating in an exchange program with the Southeast Asian country. American universities sent faculty in a variety of disciplines and their families to Thailand for eighteen to twenty-four months and, in turn, Thailand sent undergraduate and graduate students to study at its partner universities. Bowie agreed to take on the immense task, despite having no knowledge of Thai art. After inquiring with the National Gallery in DC as a location to inaugurate the show, he was met with a polite but firm “no.” Although “The Arts of Thailand” would go on to travel to a number of large internationally recognized museums across the US, Western Europe, and Japan, contributing institutions agreed that the show would open, for the first time, in Bloomington, Indiana in 1960. Promotional material for “The Arts of Thailand” at Indiana University. For Bowie, the formation of his selection committee was critical in facing the large task that now confronted him. 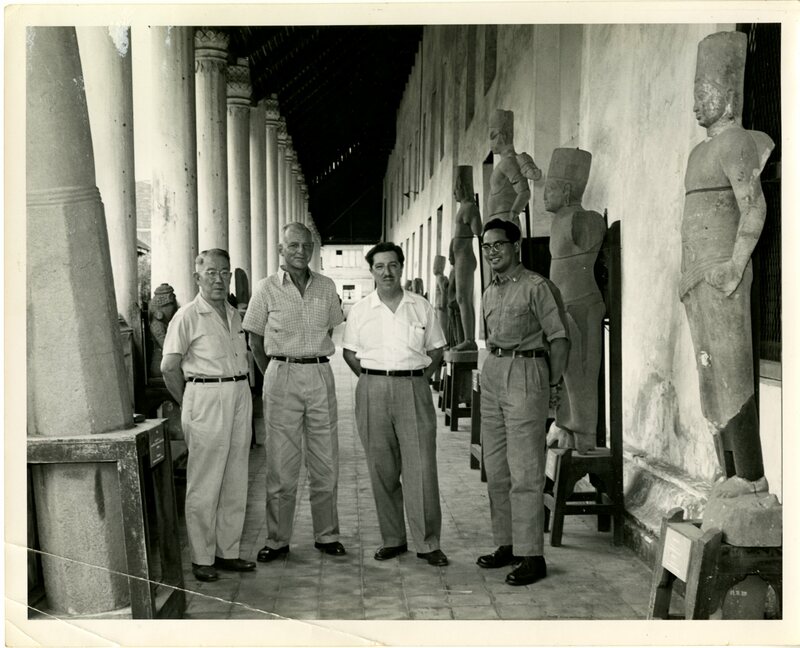 He brought on Kojiro Tomita, a specialist in Japanese art from the Museum of Fine Arts Boston; Alexander Griswold, an archaeologist and paleologist specializing in South Asian art; and Prince Subhadradis Diskul, the curator in chief of the national museum in Bangkok, to assist him in the project and teach him the ins and outs of Thai art. One of the few rules Bowie had in organizing the show was that none of the works were to be on loan from dealers, but rather from personal collections. A large number of the pieces featured, therefore, ended up coming from the collections of the Thai royal family. Bowie writes in his memoirs of the collectors hesitancy to let their best pieces travel, a cautiousness which was remedied by both Griswold’s personal connections and Bowie’s assertion that if Thailand wanted the global exhibition of its art to be on par with those of its East Asian neighbors, he would only accept the best. Once the loans of the nearly three hundred and fifty works of art, many of which were large sculptural pieces, were secured, Bowie employed a Thai photographer to document them for the catalog. One of Bowie’s biggest challenges with the exhibition was transportation of the loaned pieces. As the show traveled around the world, Bowie was effectively responsible for each piece’s safety for the entire two years for which it toured. The pieces were stored in crates made from native Thai teakwood. During the entire duration of the shows global lifespan, the items were packed or unpacked over twenty times. 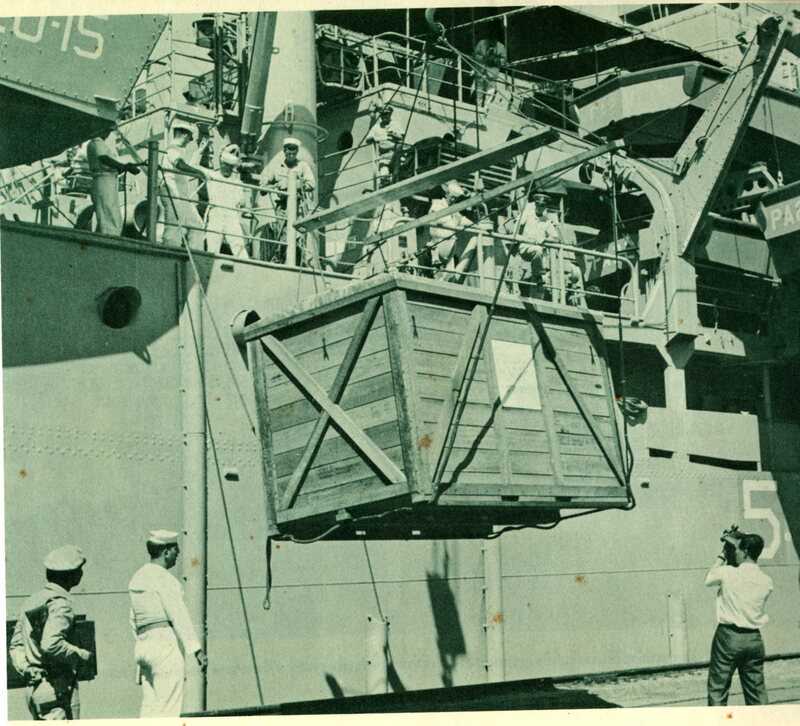 Transported by large naval ships, the crates had to be stored on the top decks and protected from the elements, as opposed to in the more enclosed holds. This unique accommodation was necessitated by the sacred nature of a number of the items and the belief that to stand or walk above or on an image of the Buddha was sacrilegious. The Thai curators who accompanied the works abroad had never had the experience of traveling works of art across continents, and these logistical considerations provided additional job training and experience for them. Pieces for the exhibition being transported using ships belonging to the US Navy. On a local level, Bowie was confronted with the complication that what would become the IU Art Museum was still under construction (part of the present day Fine Arts Building)– a problem which he solved by creating a dynamic show spread across three locations: IU’s Auditorium, The Lilly Library, and the Art Center Gallery (what is now the Grunwald Gallery). The unconventional settings, although facilitating greater access and public engagement, presented security concerns, as the various locations were not equipped with surveillance or guards. The safety of the Thai art work was ensured, however, by a detachment of university ROTC officers who provided twenty-four hour security. The Auditorium held sculptures from a variety of periods, with many of the larger pieces having to be displayed on the floor because of their weight. The Art Center Gallery displayed paintings from the collection of the King of Thailand and theatrical masks, while the Lilly featured displays of Thai books, manuscripts, and richly decorated lacquer cabinets. A number of the visitors to these exhibition areas would have, on their way to other events on campus, stumbled across lobbies for the three exhibition areas decorated in vibrant silks and been enticed to stay and linger with the treasured pieces on display. 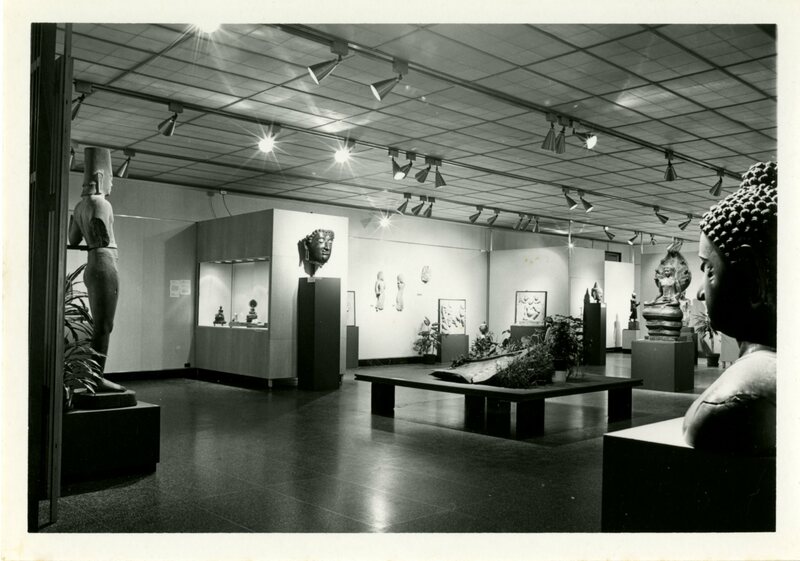 Well-received by students, faculty, and administrators at IU “The Arts of Thailand” would prove to be a huge success with audiences throughout its two year run, and inspired both a film of the same name and a follow-up exhibition, “The Sculpture of Thailand,” in the 1970s. Recently digitized, the film is part of the IU Libraries Moving Image Archive and can be accessed here through Media Collections Online. As an aspiring curator and a student pursuing my master’s in art history, the discovery of the life of Ted Bowie has been timely. Coming to the field of art history with, as a former studio major, what felt like less background than my cohort, was daunting. As I am again veering off in a different direction, away from academia and, hopefully, into the field of curating, I often find myself riddled with uncertainty. Starting the grueling process of applying for jobs, I find myself doubting my qualifications. Coming across Bowie’s words, and researching his life, one which progressed not in a straight and proscribed line, but in a joyous meander driven by his passions and ambitions, I am reminded that, perhaps, it is good to wear a few hats throughout one’s lifetime. Bowie’s brazen self-confidence has come as a perfect rallying cry, a reminder to question not whether we are capable, but rather what things we might be capable of.